As a professional provider of good quality photovoltaic mounting system and components . Our whole series includes : roof mounting kits, ground mounting kits, carport mounting kits, pole mounting kits, farmland mounting kits, mesh fense and other accessories . 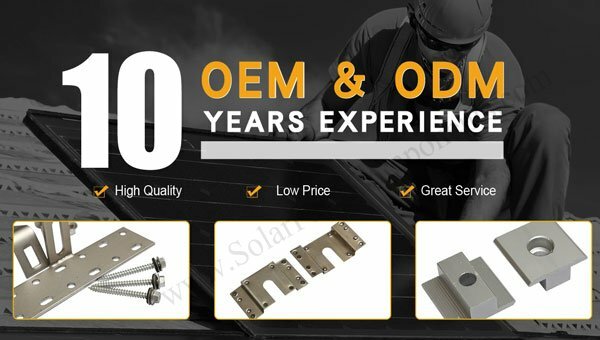 We are solar mounting parts factory direct with experience , strict quality controlling, competitive prices and good service . OEM & ODM is acceptable as customer’s requirements . To be Expert, innovative , enthusiastic is our company ‘s slogan . Welcome get more details from www.SolarPartsComponents.com for our solar mounting system .